Thin Mint GSC calls upon the powers of its indica, sativa, and hybrid ancestors for a powerful full-body effect that gives this strain its sterling reputation. 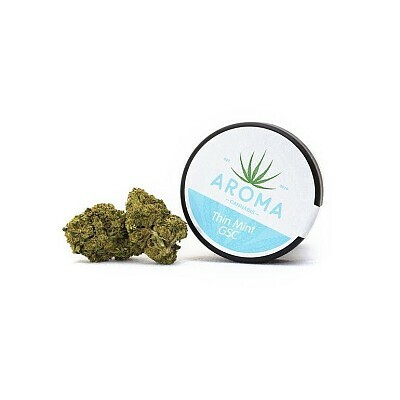 The high psychoactivity of this strain is not for novice consumers, but patients with a variety of symptoms are giving Thin Mint their seal of approval: severe pain, nausea, swelling, insomnia, and appetite loss are no match for the potency of Thin Mint. Dark green and royal purple hues peek through a heavy coat of crystals, with a sweet minty smell that gives a full explanation of this strain’s name.